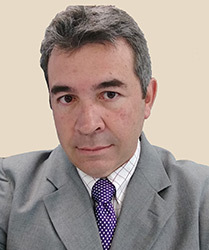 Jorge Serrano is the Managing Director of Stage‐Gate International’s Mexico Region Value Center. He is focused on helping Mexican and Central American organizations create greater value from new product development by improving the execution and management of their innovation programs. Jorge has 35+ years of experience in innovation performance improvement, process improvement and supply chain management. He has advised upper management and key stakeholders on multiple projects in multiple enterprises and industries that include: Oil and Gas, Consumer Products, Retail, Manufacturing, Public Sector and Financial Sector. Some of Jorge’s clients include: Petroleos Mexicanos, FEMSA, Grupo Modelo, José Cuervo, AlEn, Libbey, SuKarne, and Metalsa. He supported them in achieving business objectives with supply chain practices, process reengineering, system implementation, new product design, launching, new product strategic portfolio management, Innovation Strategy, and Innovation culture and leadership. Prior to joining Stage‐Gate International, Jorge was a Partner at Sicofin, Ernst & Young and PricewaterhouseCoopers. At IBM, he also led Industrial Sector group; and at SAP performing as a Global Account Director. Jorge holds a Master of Business Administration from ITESM in Mexico City and a Bachelor’s of Industrial Engineering degree from LaSalle University in Mexico City He also holds a New Product Development Professional (NPDP) certification with the PDMA and is certified by APICS in Production and Inventory Management (CPIM), and by PMI as a Project Management Professional (PMP).